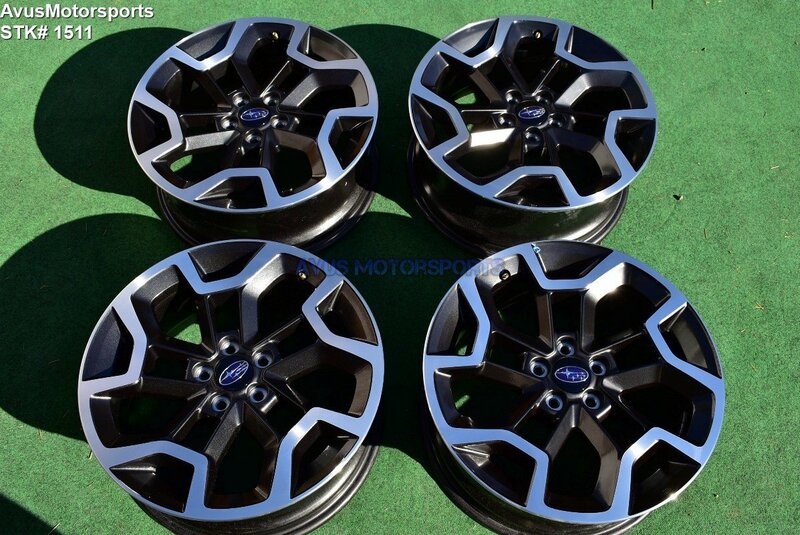 This auction is for set of (4) authentic 2017 Subaru XV Crosstrek 17" genuine factory wheels . These wheels were taken off an brand new 2017 XV Crosstrek with 20 miles, they are in like new condition, it was removed because the owner purchased larger custom wheels. Please review all pics! These wheels were NOT off a wrecked vehicles! It may fit other years and models, but please do your own research, if you need assistance please email us.